light to pass through, but not the sun’s heat. It must keep cool conditioned air inside, but not allow condensation to form on the surface of the glass. It must not allow hot, humid outside air to leak into the home in summer, nor allow warm inside air to leak out of the house in winter. 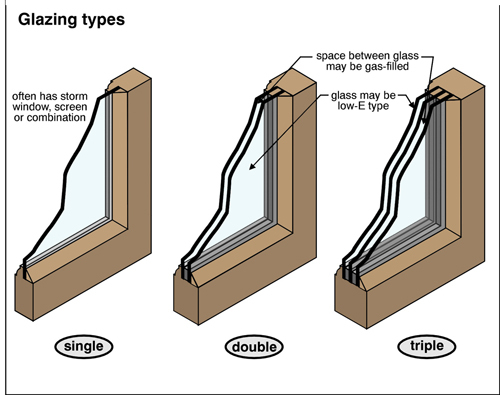 As you can see, a window is a complex system, and it’s more than just glazing (glass): it also includes the frame sash and any operable elements as well. With the improvements in window technologies, it is now possible to buy impact-resistant and/or energy-efficient windows for your home. The Window Professionals are a full service company and we offer no down, 100% financing through Ygrene and the PACE program. If you have any questions about windows or doors please stop by our beautiful showroom in Jupiter or Miami. We can answer any questions you may have, we have been helping people with their windows and doors in South Florida for over 25 years. If you want it done right, think the Window Professionals.